Size: Specimens of this species are commonly about 16 cm long, with a maximum of 25 cm in total length and 8 cm in carapace length, and may reach a weight of more than 0.5 kg. Flathead Lobsters live on soft bottom of mud or sand, sometimes mixed with shells or gravel, at depths between 10 m and 60 m (exceptionally 100 m or even more). They bury into the soft substrate during daytime, with only the eyes and antennules visible, and actively swim during nocturnal foraging, which covers long distances. The planktonic larval stage lasts for about three months. The species is widely distributed in the Indo-West Pacific region, found from the east coast of Africa (southern Red Sea to Natal) and the Arabian Gulf eastward to China, southern Japan, the Philippines, Indonesia and tropical Australia (Western Australia to Queensland). 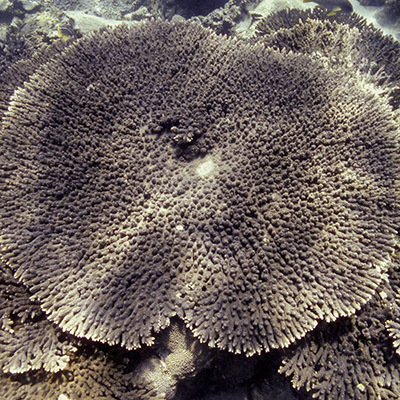 It is common throughout its range, but nowhere very abundant. Specimens in the Arabian Gulf are often found with the barnacle Octolasmis warwicki attached to their pleopods. 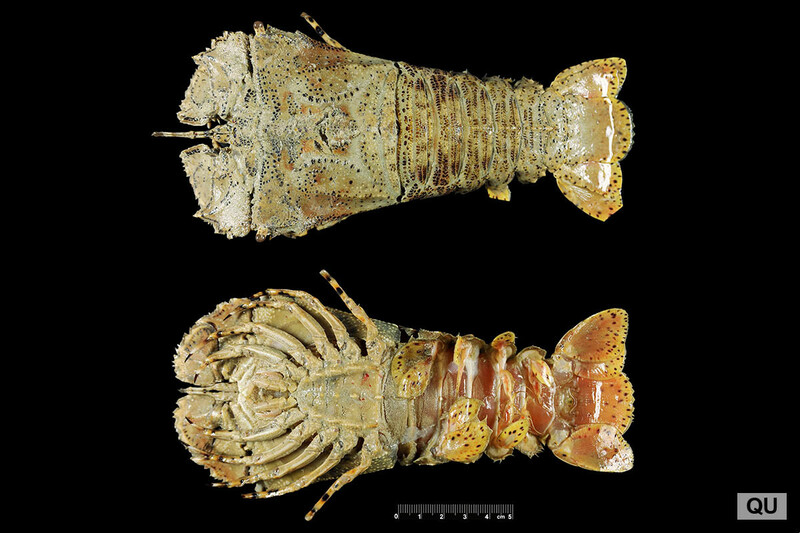 The IUCN Red List of Threatened Species classifies the Flathead Lobster as Least Concern (LC) in its global assessment. This species is harvested practically throughout its range and often appears as a bycatch in the nets of shrimp trawlers, although there is no specialized fishery for it. Since these animals are edible, they are reportedly also sometimes taken by divers. The body is markedly depressed and has a pubescent surface covered with small granules. The flat carapace is trapezoid, widest in front and strongly narrowing posteriorly, its lateral margins are straight and bear only two teeth in the anterior part and none in the posterior three-quarters. The small eyes are situated at the outer angles of the carapace and protected by a sharp tooth behind the orbit. Antennae are broad, flattened to plate-like shape and have dentate margins. The abdomen has transverse grooves across the middle of each segment and a slight median ridge, which terminates in a sharply projecting spine on the fifth segment. Coloration is pale yellowish brown on the body, with the granules darker reddish brown and the tips of the teeth whitish, the legs yellowish white and distally brownish and the tail fan with a yellow tinge.